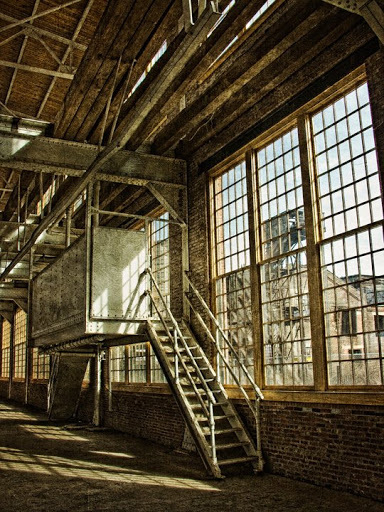 Interior view of an old locomotive repair facility in Spencer, North Carolina. Part of the North Carolina Transportation Museum, it is a massive building where steam train engines where totally rebuilt for the then Southern Railway. Interestingly, the floor was originally paved with wooden blocks to act as a cushion for cast iron parts, in case they were dropped. Thanks for your kind remarks.